"Kill The Messenger" covers the explosive story of the CIA funneling crack-cocaine into such black neighborhoods and areas as South Central Los Angeles and other places in the 1980s. The funneling was part of a operation to fund and give arms to the Nicaraguan Contras to fight and destabilize their government. In 1996 San Jose Mercury News investigative reporter Gary Webb blew the lid off these unseemly and disturbing dealings. Mr. Webb's Mercury News editors and executives rebuffed him, and his "Dark Alliance" stories and book were national and international headlines, so much so that then-CIA director John Deutch made a historic visit to South Central to explain to a very concerned citizenry. Michael Cuesta's film centers on this story and the resulting betrayal and alienation that Mr. Webb faced from his reporting. Jeremy Renner is compelling as Mr. Webb, a dogged investigative reporter seeking the truth. 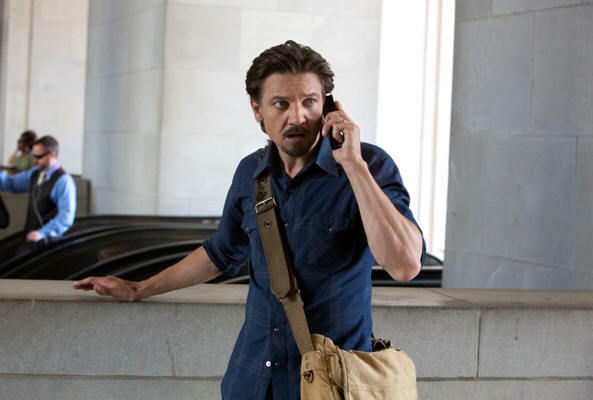 At times "Kill The Messenger" has a certain level of shadowy intrigue and suspense but possesses one or two comic relief characters its weighty subject doesn't deserve. Paz Vega plays a flamboyant version of the wife of an accused drug lord. Her over-the-top display blunts the film's intended seriousness in places. Part of this is likely Peter Landesman's need to leaven his screenplay, based on Mr. Webb and Nick Shou's book. The film has the tenor of a thriller and looks at the forces that closed in on Mr. Webb as he kept pushing back against mainstream media backlash and falsehoods about his story. Isolation, mistrust, tension and strains on Mr. Webb's marriage and family ensued. Ostracism from the newspaper journalism community snowballed. Threats on Mr. Webb's life increased. In total, Mr. Cuesta's film is a surface-level introduction to Mr. Webb, the politics of newsrooms (not a new subject on film given "All The President's Men" and "The Insider") and the damning evidence of CIA drug-dealing into black neighborhoods in America. Lots of pertinent, in-depth information about the drug stories is omitted for time, perhaps politics, and the sake of conveying a cinematic entertainment that doesn't completely floor its casual viewers. "Kill The Messenger", which opened exactly a month ago in the U.S. and has struggled in limited release, has a procedural documentary feel. Though pedestrian it nonetheless gets points for at least presenting its important subject matter on an elementary basis. The subject, atmosphere, and Mr. Renner's commitment is the asset truly making "Kill The Messenger" worth watching. Granted, the film scratches the tip of the iceberg but the impressive cast of actors do good work overall. If nothing else you are left with a cautionary tale that offers food for thought on a dying (literally) breed of journalist in America. Also with: Mary Elizabeth Winstead, Oliver Platt, Rosemarie DeWitt, Andy Garcia, Tim Blake Nelson, Michael Kenneth Williams, Michael Sheen, Yul Vazquez, Robert Patrick, Richard Schiff, Ray Liotta. "Kill The Messenger" is rated R by the Motion Picture Association for language and drug content. Its running time is one hour and 52 minutes.